I wouldn't ever suggest doing your wedding hair yourself. For a wedding you're attending, sure. Go right ahead. Do your own curls, straighten your own locks, run a brush through it and call it a day. But with your own wedding, you have to remember all eyes are on you. And, during your ceremony, all eyes are on the back of your head. You want to make sure what they're looking at is perfection and you can get that from a professional. When you're stressing out wedding morning -- hoping that your groom makes it to the church on time, wondering if there will be enough food at the cocktail hour -- the last thing you want to do is stand in your bathroom with a curling iron. You won't have the patience to hold each curl long enough and your hair will be a mess. And you'll regret it. I put together a list of five tips about getting your wedding hair done so that you don't end up looking at your photos and regretting anything. 1. Don't wash your hair the morning of your wedding. Showering when I wake up just makes me feel energized. And for wedding day, that's what I needed. Also, I just wanted to be clean, especially since I got caught in the rain the night before our wedding. Plus, you don't ever want to walk down the aisle to hear your groom say, "You look beautiful, but honey, you smell." And when the gal from the salon sat me down to do my hair, she asked me the last time I washed my hair. "Eight this morning," I said. Turns out, you're not supposed to wash your hair the day of your wedding. The style will hold better if it's dirty. I don't know the science behind it, I just know that my wedding curls were perfect through the ceremony, pretty good through post-ceremony photos, and beachy waves when we took pre-reception photos on the beach. Beachy waves fit, I guess. I was the most low-maintenance bride so I didn't stress about my curls coming undone. But it's my personal quest to warn every bride from now on, just in case. Pinterest is an amazing tool to help you find wedding hair ideas. In fact, we have a full wedding hair ideas Pinterest board. Feel free to pin any and all of those ideas. Because when you're getting married, you need an idea of what you want. The technicians at the salon will not look at you and say, "Oh, you have medium-length hair. This is the style for you." Instead, they will say, "What style did you have in mind?" And it's so much easier to show them a photo as a guide instead of saying, "I was thinking something half up and down with curls. I think. Maybe. Or all down. Or no curls. What do you think?" I showed the stylist the hair that I wanted and she did, um, her version of it. Instead of the top bump being one cohesive piece, it was two uneven bumps separated by a huge part down the center. You can actually see in my getting ready photos that I'm making disgusted faces. I didn't like it. At all. But, you know me, low-maintenance bride, so I didn't say anything and walked to my bedroom to get dressed. "Do you like it?" my bridesmaid Gionna asked. "No, actually, I hate it. A lot. It's not what I want." I told her. "Have her redo it," Gionna said. "No," I said. "She spent so much time on it and I don't want to tell her I hate it." "It's your wedding," Gionna reminded me. "Do you want me to tell her?" And less than a minute later, Gionna came back into my bedroom. "She's gonna redo it," she said. And the stylist fixed the mess of a bump on my head and made it exactly the way I wanted. And my wedding photos are beautiful and I'm so happy with the way my hair turned out. But without Gionna stepping in, I wouldn't have stood up for myself and I wouldn't have gotten what I wanted. I didn't want to come off as bridezilla but sometimes, you need bridesmaidzilla to stand up for you. And really, I'm sure she wasn't even a 'zilla of any sort. I'm sure she just politely asked. Which I could have done myself. And you can too. 3. Don't waste your money on a trial. This is the most controversial tip, but I am really sticking firm to stating you don't need a trial. Want? Sure. But need? No. Many stylists will have a portfolio where you can check out their work and styles they've done before (and these are often available in part on Facebook) so you can get an idea of what they are capable of. Salons who attend wedding expos will have these at the booths usually (I've never seen a salon at an expo that didn't have one, but you never know). Portfolios should help you feel comfortable at a salon you've never used before. And if this is your normal salon, you can just your stylist if she feels like she can do what you want. If not, she might be able to recommend another stylist in the same salon who can. And you have to remember, too, you're hiring a professional. You have to trust that she knows what she's doing because this is what she gets paid to do. If you were having surgery, would you go to the doctor for a trial? No. You would just go and get it done. Extreme example, but same concept. I didn't go for a trial. And maybe during the trial I would have found out that the stylist would have done my style the "wrong" way first and then would have redone it the way I wanted. And then on wedding day it would have been a one shot deal. But you know what? She redid it the way I wanted, it was perfect, and I didn't have a trial. And none of my bridesmaids had a trial. And my mom didn't have a trial. And not one of them said, "Gosh I wish I would have tried this first." The morning of our wedding, I had to run to the bank. I tried to go the night before to withdraw cash to pay our photographers, but apparently, there's a limit you can take out from the ATM. I always knew there was a limit but never knew exactly what that limit was because I don't generally take out large sums of cash. Instead of spending the last night of my single life with a wad of cash in my purse, I spent it at Walmart grabbing last minute items (Ban Total Refresh Cooling wipes, if you're curious, which were supposed to go in our sunscreen basket but never made it out of my bag because it just wasn't that hot). So the morning of the wedding, when the car full of my bridesmaids pulled up, I grabbed my cousin Erica and we went to the bank. And that was enough running around for me. I couldn't imagine adding in a trip to the salon too. I didn't have to. The stylists from the salon we used traveled to my apartment and made a makeshift salon in our guest bedroom. It was awesome and so much easier that way. You are already having all the bridesmaids and your parents and vendors travel to a central location. Ask the salon to travel there as well. It just simplifies everything. There's a chance you'll have to pay a travel fee in order to get them to travel, but trust me, the cost is worth it. 5. Don't cut or color your hair style two weeks before your wedding. I cut 18 inches off my hair a few weeks before we got engaged. I wanted to donate 12 inches to Pantene Beautiful Locks so it could be used to make real-hair wigs for women fighting cancer, but my salon-owner uncle decided 18 inches had to go. It was dramatic and made it difficult for me to style my hair any way but straight and down for our engagement party eight weeks later. I vowed then that I would grow my hair until our wedding so I could have enough hair to work with and have my choice of styles. It was such a smart decision. I had really long locks and was able to wear really long curls. And if I actually wanted to pull off an updo, I would have had enough hair to do that. It got boring after a while. Almost two years of growing my hair out and not doing anything at all to it. Blah. But it was worth it. The week before our wedding, Pete went to the salon and cut his hair. He had been growing it out the same amount of time as me and cut his to donate it to Pantene as well. I was a little jealous sitting in the salon, waiting for him. I thought maybe I could just have them cut 10 or so inches off for me too. You can't dramatically change your hair within wedding month. Imagine getting bored and dying it and now your roots are showing. Or, even worse, dying it a color that just isn't you and having to look at these photos years from now, wondering who that bottle blonde is. It's tempting to change your hair but don't do it close to your wedding. Just don't. You've been warned. 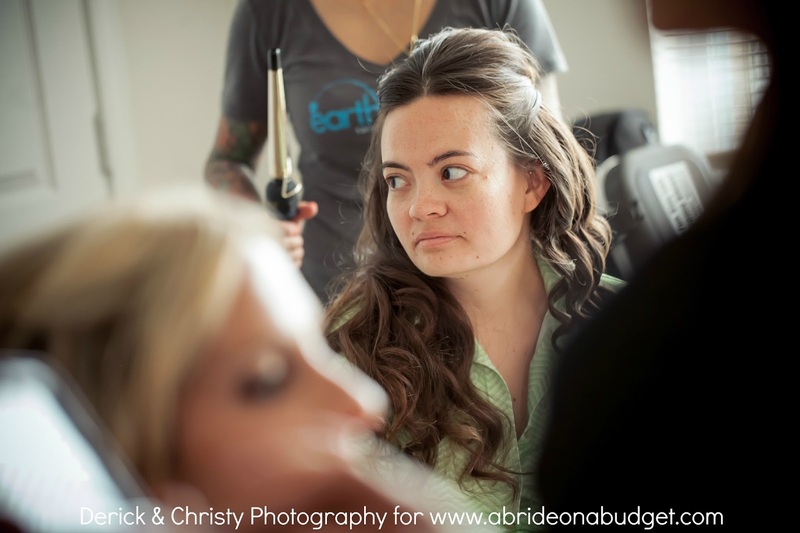 BRIDAL BABBLE: What other tips about getting your wedding hair done would you add for brides? Great tips! I wouldn't have known about the first one--most people don't, I'm sure. I really like these tips and agree with them. The only thing I regret is not being more forceful on how I wanted my hair to look. Everyone else liked it but I didn't like it as much as I should. Have you never been to a dance or had any formal hairdo before? I feel like everyone shoul know that dirty hair holds curls better. Glad you were able to get your hair redone how you liked it! It was beautiful! Great post! I have had my hair done for many formal occasions at a multitude of places and it has NEVER come out the way I asked/expected it too, and that's with being very verbal, so I do plan to do my own hair for our wedding. I'd be curious to hear any feedback from stylists that may have read this and see what their take is? I really agree with #2 - I would just suggest if you have fine hair or are looking to combine 2 different styles like I was - go for a trial - It is worth the extra$ - I didnt want to lose time on the day of the wedding trying to have the stylist "figure it out" and make sure it was exactly what I wanted. I also colored my hair the week of the wedding - but my colorist had already known what we were doing & it came out stunning! My hair dresser wont do a wedding without a trial. She said its too stressful and could take up way too much time if you decide you don't like it (which I guess she had happen in the past with someone who didn't do a trial). Granted, she is extremely affordable. Only $45 for my up-do. And the trial only cost me $30. I also think it's important to have a trial to make sure as a bride that you like the hairstyle on you! I have had brides come in wanting a certain look, and after we're done they realize it looked great on pinterest but not on them. These are great tips on how to have your hair for your wedding day. Making sure to speak up if you do not like it is styled is so important. Having the hair that you want is a must. But, I never thought about not washing your hair the day of your wedding. 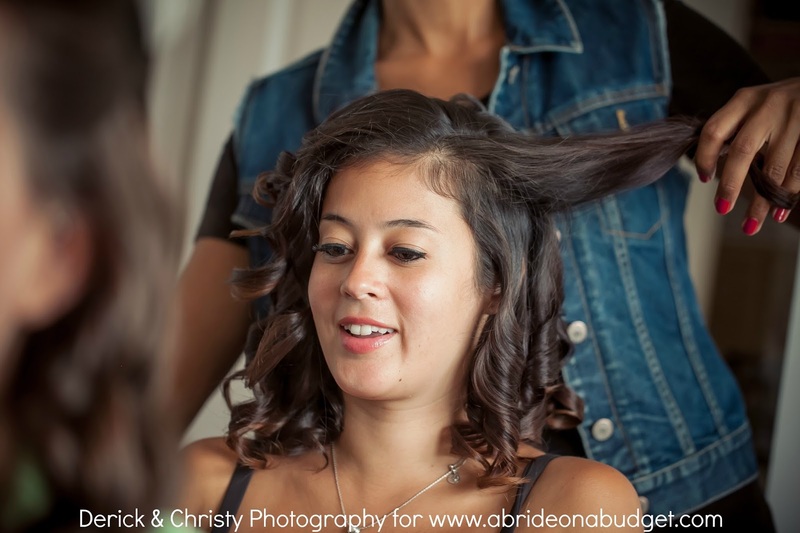 These are some wonderful tips .I had no idea about not washing your hair the day of the wedding.I am very picky about my hair and want it just right.It is hard to find a stylist that can work with my hair because it is so coarse and straight. When I do find one,she ends up leaving and hard to track down. When we got married my wife had her hair done two days before the wedding. Apparently she was careful how she sl;ept and did not wash it for the two days. These are really great tips. It is so important to get the hair done very special for the big day. I know that I had my hair done the way I wanted because I wanted to make sure that my photos looked great. Your hair is a big one for a wedding day. These are great tips. I will pass these onto someone I know who is getting married. The only tip I would have to disagree with is not having a trial. If you are confident enough that your stylist will be able to create the look in the portfolio exactly the same then I'd say go for it. But this way you also still run the risk of not liking it once it's styled on your own head.